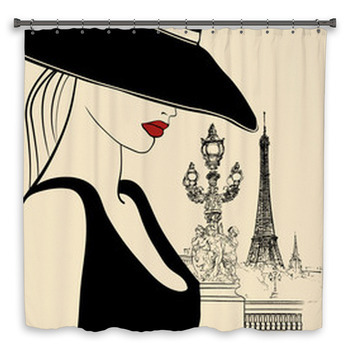 Give your powder room or master bath some international romance with our gorgeous Paris themed bathroom decor. 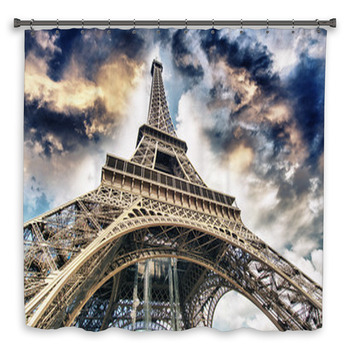 Whether you are looking for a Parisian themed shower curtain to coordinate with a shabby chic theme or Paris themed bath towels, you will find a wide selection of items that will complement your Paris themed bathroom decor. 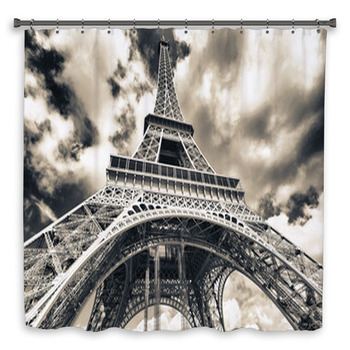 Many of our Eiffel Tower styles look amazing in vintage-inspired design. 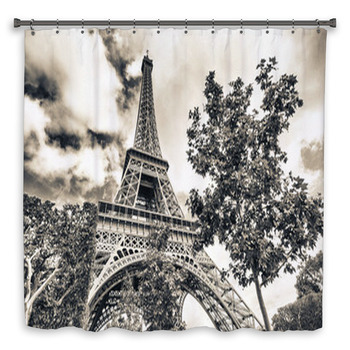 Some of our Paris shower curtains with Eiffel Tower designs create an Old World look with sepia or black-and-white sketch designs. 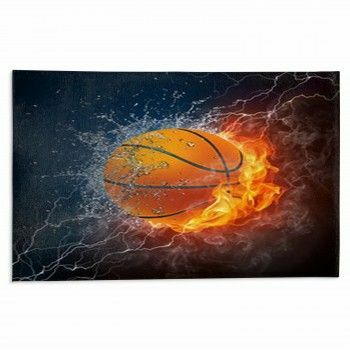 Or go all-in modern with the icon at sunset or during a celebration with fireworks against the night sky behind it. 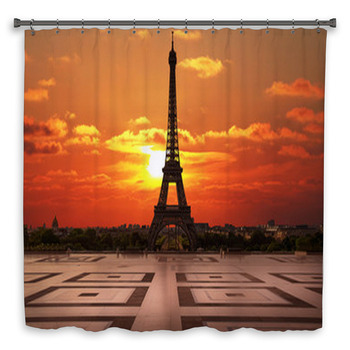 Other Parisian landmarks can be the centerpiece of your bathroom, too. 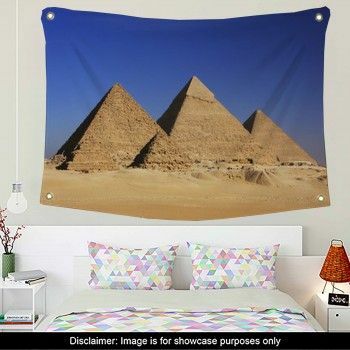 Choose from the splendor of the Louvre or the familiar shape of the Arc de Triomphe. 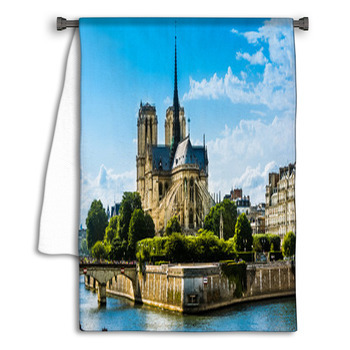 Or consider amazing Paris themed shower curtains and hand towels featuring famous Notre Dame and its rose window or the lights reflecting of the water of the Seine. 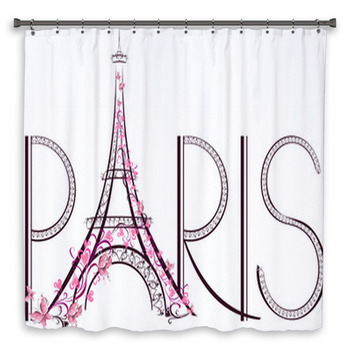 If you have a budding fashion designer, decorate her bathroom with Paris haute couture. 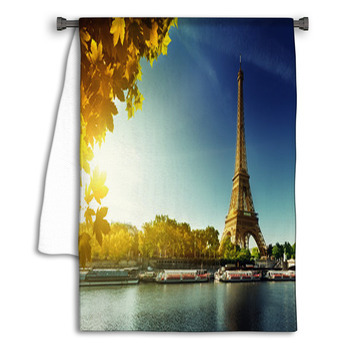 Our Paris fashion shower curtains, hand towels, bath mats and bath towels have a decidedly retro look. 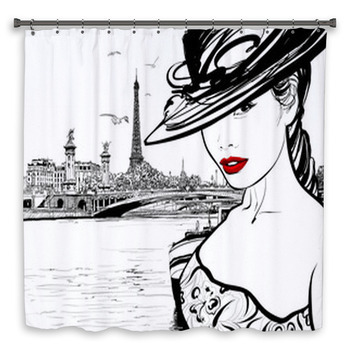 From retro sketches of young women wearing the latest fashion styles of their eras to dressmaker forms in a variety of inspired colors, you’ll find the perfect Paris themed bath decor to satisfy any fashionista. 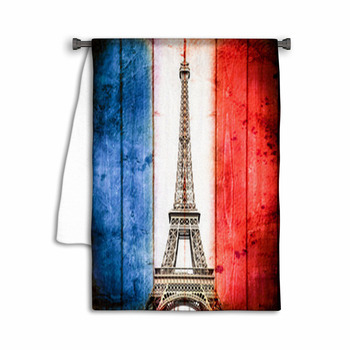 If you want something simple to match her already fantastic bathroom, try Paris bathroom towels that can be dyed to match the colors already used on the bath decor. 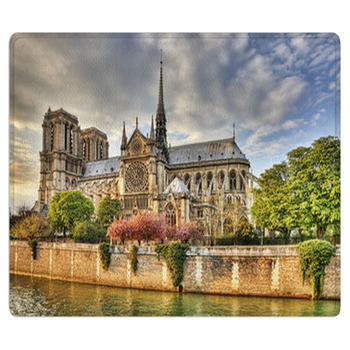 Our carpet rugs in Paris themes make great bath mats for your French-themed powder room. 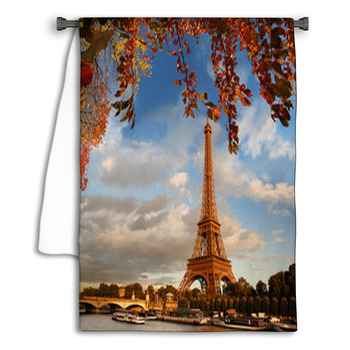 You can carry the Paris theme throughout your home with our coordinating home decor. 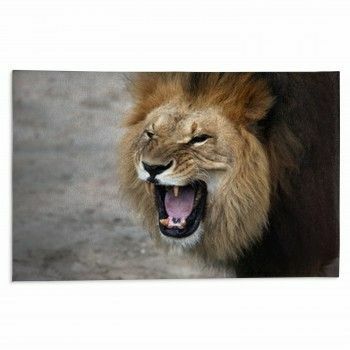 Choose from curtains, baby bedding, pillows, bedding, rugs and more!